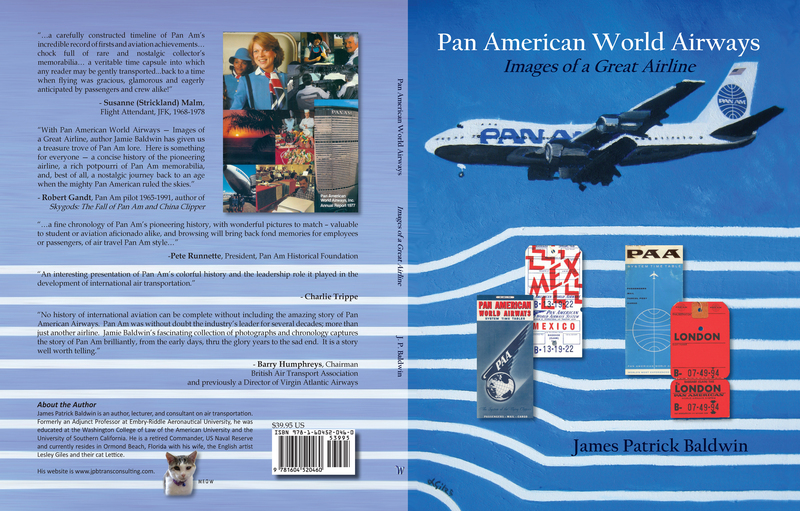 Pan American World Airways – Images of a Great Airline is a pictorial history of the airline that highlights its aviation “Firsts” and notable achievements. Included are vintage photographs of airliners and images of timetable covers, schedules and route maps, annual report covers and baggage strap tags, all documenting its storied history from first flight to last. Below is a link to a condensed version of the book featuring selected pages. The manuscript is “pre-camera ready” and therefore many of the images may appear un-cropped. This book is also available directly from the publisher, BlueWaterPress or Amazon.